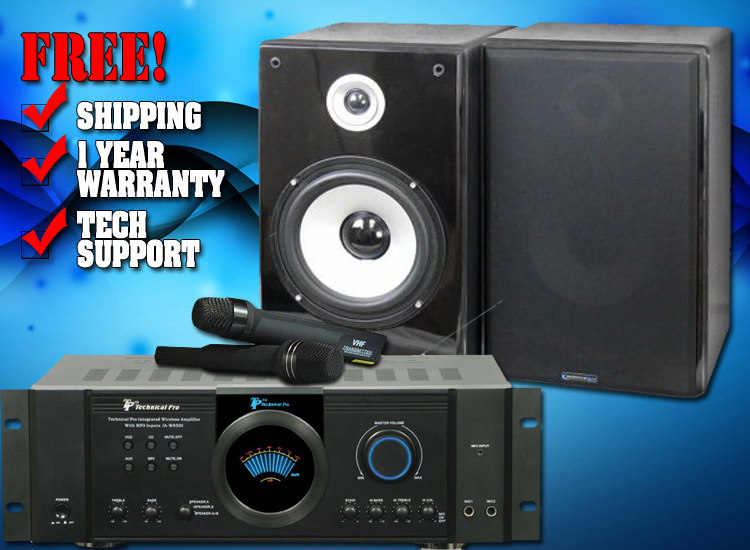 Technical Pro's speaker design is one of the most professional designs on the market today. They have quickly risen to the top of the competition for their selection of professional studio monitors and loudspeakers. The same professional design found in their speakers meant for the club and stage can now be found in the SPH6 Bookshelf Speakers. If you are need of a pair of bookshelf speakers for your personal audio set up, showroom or office sound system the SPH8 Bookshelf Speakers are a great choice and a price that is very affordable! Let's face it, computer speakers sometimes just do not do the business! Every small room, office space, bedroom, outdoor work space, etc. needs a small portable sound system and a great pair bookshelf speakers. Technical Pro has got you covered for all your needs! The SPH8 boasts a very stylish and professional design. Aligned with the theory that these speakers are made with the built-to-last attitude, they are also classy enough to impress any listener at one glance. The compact black design will add a touch of class to your bookshelf or entertainment set up. The front panel has a removable panel of soft fabric used to protect the speaker from any dust or particles. Keep the panel on or remove it to reveal a shiny finish to the front face of the speaker. The protective casing holds high quality components that will not fail! Located inside the SPH8 speakers is one 8" woofer and one 3" tweeter. This speaker can push out a total peak power of 150 watts. This is the perfect amount of power output for playback in any small to medium home, office, or showroom space. Set these up in eye's view and impress your guests and clients while enjoying a professional level of sound output! Professional gear for the home and personal use!